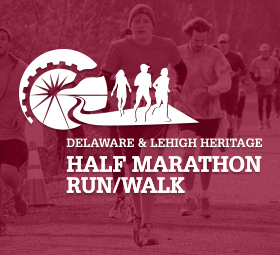 The Delaware & Lehigh National Heritage Corridor (D&L) is both a diverse, multi-faceted organization, and a multi-use trail spanning 165 miles from the mountains of northeast Pennsylvania through the Lehigh Valley and Bucks County. We connect you to distinct experiences in nature, community and economic development, health and recreation, history, preservation, and education. 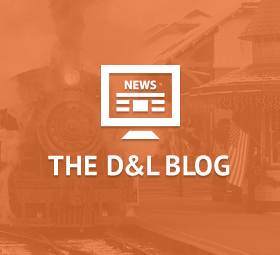 The D&L is a true public-private partnership. Passionate residents and volunteers work alongside local, regional, and national entities to conserve cultural and natural resources in the five-county region of eastern Pennsylvania. This is a nationally significant historic transportation route that traverses railroads, canals, rivers and trails. 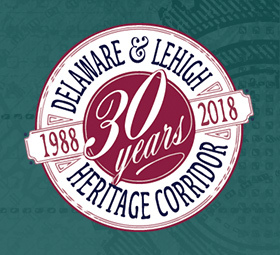 Since 1988, when Congress established the Delaware & Lehigh National Heritage Corridor, we have worked diligently to preserve and revitalize historic places and landmark towns, conserve green space for public use, document and interpret our heritage, celebrate our community and region, and create partnerships and programs for long-term sustainability. We inspire connections. We are the D&L. The towns that are situated along the D&L National Heritage Corridor are some of the most beautiful, historic places in America. Scenic canal and river towns such as New Hope are now artists’ communities filled with shops and B&Bs, attracting a wide range of visitors. Bethlehem, originally a Moravian settlement, endured the rise and fall of Bethlehem Steel and is now emerging as a leading arts and cultural city, with a charming historic district and lively dining and arts scene. Coal mining towns, such as Lansford in the north, remind us of what literally fueled America during the 19th century. Levittown, on the other hand, fulfilled the dreams of suburban home ownership during the 1950s. Jim Thorpe, one of the most beautiful towns in America, now attracts history and railroad buffs as well as outdoor enthusiasts who paddle and raft its river and bike its trails. Many other picturesque and walkable towns also span the region and all are worth a visit – for a day, a weekend getaway or a week-long vacation. See full list for more details. Take a hike. Or ride your bike. Tour a town. Find your D&L! The D&L Trail has a presence in every community along its 165-mile path, and our easily accessible trailheads create meaningful experiences for our users on a daily basis. From the mountains of northeastern Pennsylvania through the Lehigh Valley and Bucks County, the D&L connects people to places, and helps form lasting relationships and opportunities to positively impact the region. Find your D&L! Each region is unique and offers diverse ways to experience and celebrate eastern Pennsylvania’s most vibrant Corridor. Ride the only mule-drawn canal boat in the state, paddle a river, hike a trail, visit a museum, ride your bike, go fishing, grab a bite to eat, listen to music, take a walk, or just take in the scenery. It’s here for you.